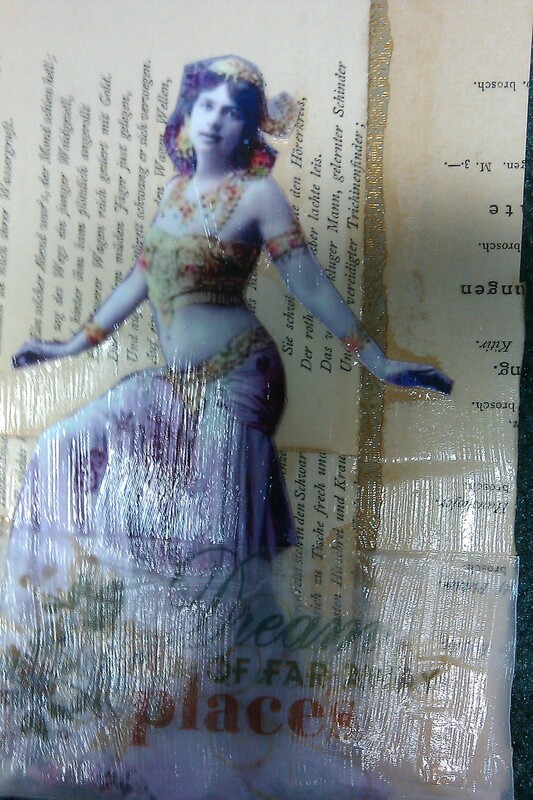 For the Sunday Postcard Art challenge, with the theme of dance, I used a picture of Mata Hari bellydancing overtop of pages from a German poetry book from the 1890s. Your dancing lady looks wonderful, great texture. I love how you used Mata Hari – I am so fascinated by her. Fantastic effects, Sarah, love your ‘My Credo’ above too!